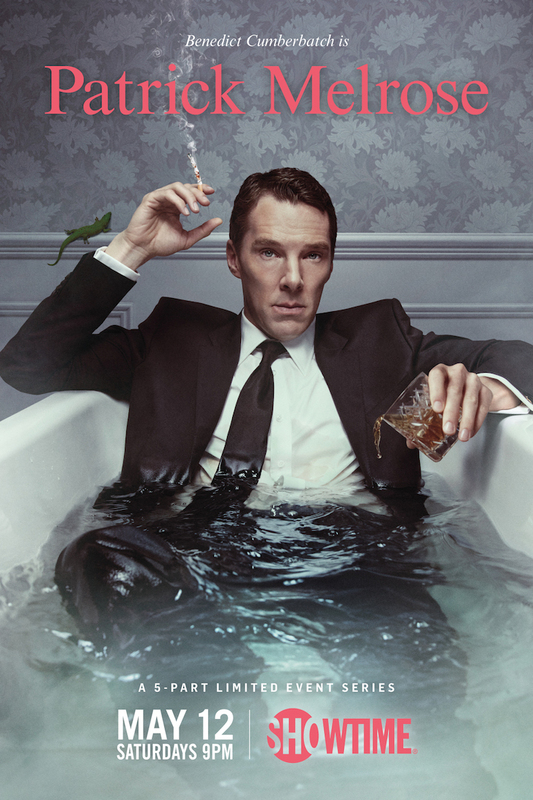 Oscar nominee and Emmy winner Benedict Cumberbatch struggles with his difficult childhood even as an adult as Patrick Melrose in Showtime’s five-part limited series, premiering Saturday, May 12. The story is based on the best-selling semi-autobiographical novels by Edward St. Aubyn by the same title. Each episode is based on one of the five novels, and takes viewers from the South of France in the 1960s to New York in the 1980s and the UK in the early 2000s. David Nicholls wrote each episode, all of which are directed by Edward Berger. Programming the series on Saturday nights expands Showtime’s purview to a new night, where the series will join the network’s sports and movie offerings. Besides Cumberbatch, the series also stars Jennifer Jason Leigh (The Hateful Eight, Annihilation) and Hugo Weaving (The Matrix, Lord of the Rings) as Melrose’s less-than-ideal parents. Also starring are Blythe Danner, Allison Williams, Pip Torrens, Jessica Raine, Prasanna Puwanarajah, Holliday Grainger, Indira Varma and Celia Imrie. The co-production between Showtime and Sky Atlantic is executive produced by Michael Jackson, who recently formed production banner Two Cities Television, and Rachael Horovitz. Cumberbatch also executive producers along with Adam Ackland for Sunny March ad Helen Flint for Little Island Productions.